"The Oldest Station in the Nation"
On this campus pioneer research and experimentation in "wireless" led to successful transmissions of voice and music in 1917, and the beginning of broadcasting on a scheduled basis in 1919. Experimental station 9XM transmitted telegraphic signals from Science Hall until 1917 when it was moved to Sterling Hall. In that year professor Earle M. Terry and students built and operated a "wireless telephone" transmitter. 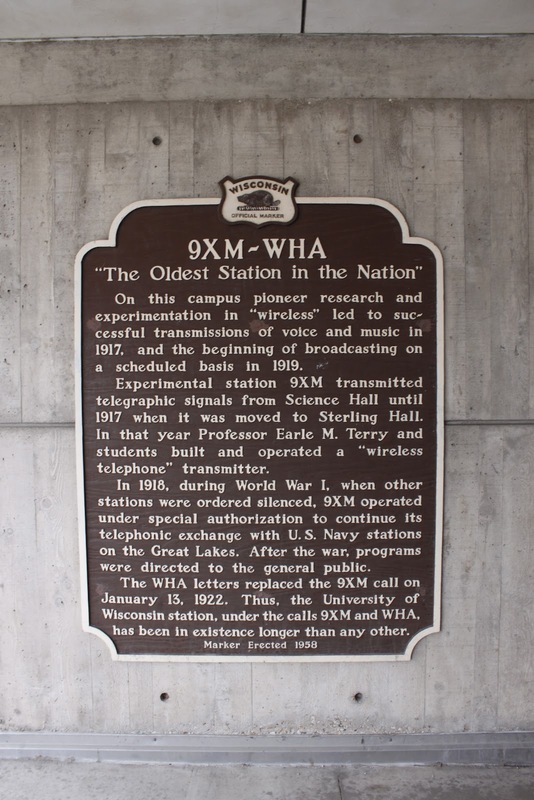 In 1918, during World War I, when other stations were ordered silenced, 9XM operated under special authorization to continue its telephonic exchange with U.S. Navy stations on the Great Lakes. After the war, programs were directed to the general public. The WHA letters replaced the 9XM call on January 13, 1922. 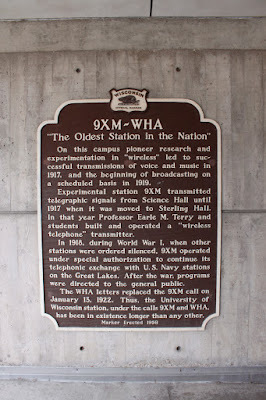 Thus, the University of Wisconsin station, under the calls 9XM and WHA, has been in existence longer than any other. The marker is located on the UW-Madison Campus at the top of a staircase leading to the Vilas Communication Hall on northbound Park Street, just south of its intersection with University Avenue, Madison, Wisconsin 53706. 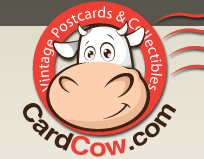 NOTE: Driving around and parking at the UW-Madison campus can be harrowing. Be sure to check the Google Map (above) and campus maps (below) before heading out. NOTE: The staircase in the photo is connected to a delivery driveway -- giving one just enough time to take the photos and leave. 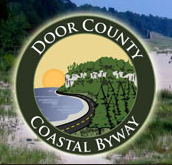 A bit tricky to navigate because of busy traffic, construction, "No U-Turn" signs, and one-way streets if you inadvertently fly past the marker. Click here for a list of all markers located on the UW-Madison campus. The marker is at the top of the stairs. The marker is on the UW-Madison campus.